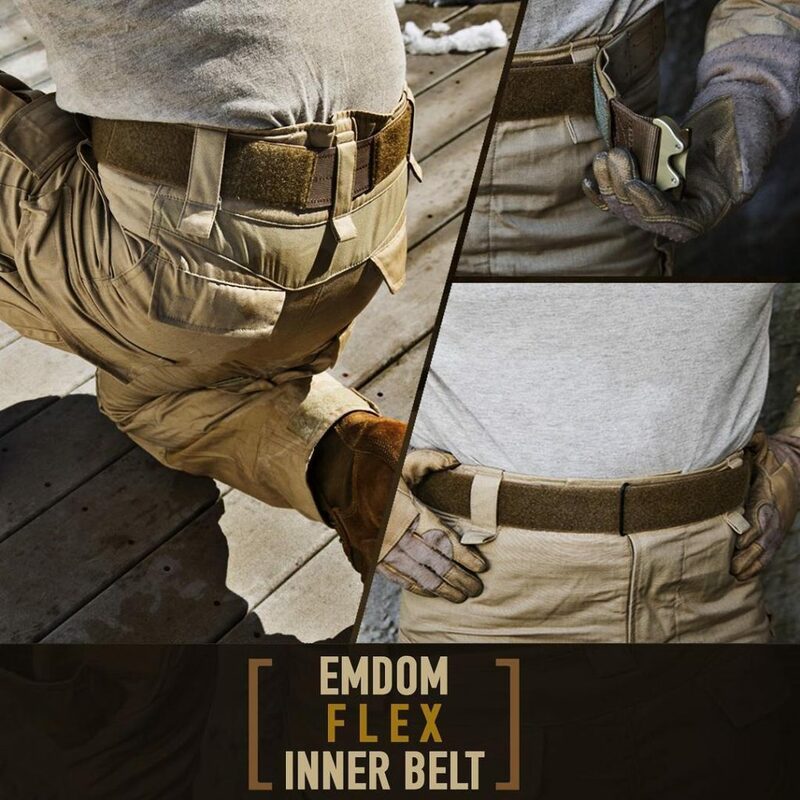 Emdom’s new Flex Inner Belt is now available. Like most inner belts, it offers plenty of loop material coverage for anchoring your duty or battle belt and the low profile closure ensures that there are no hotspots under heavy load bearing belts. The Flex Inner Belt also has a number of interesting features that you do not typically see in other inner belts. The flex derives its name from the heavy duty elastic panel sewn into the back center of the belt. This panel helps ensure a comfortable fit. The belt also features several hidden pockets for storing items like cash or keys. It also features a Trelleborg HANK patch at the center back to help prevent the belt from sliding along with other HANK and Blue Force Gear UltraCOMP panels to prevent excess wear on Velcro parts.